Calibration Labels track important inspection, calibration and maintenance information required throughout the hospital. They assist biomedical and clinical engineering departments and the medical staff to ensure proper patient care. Calibration Labels clearly identify equipment that requires calibration or inspection. They also distinguish previously calibrated equipment and communicate centrifuge information to your staff. 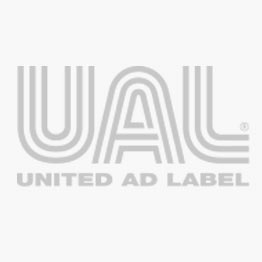 United Ad Label Calibration Labels communicate essential information and eliminates costly mistakes. Multiple colors allow you to quickly identify each instrument by department, due date or location. Our self laminating version protects information from harsh environmental conditions. In addition, calibration labels are also available in tamper evident, write on and roll formats. Calibration Label, 1-1/2" x 1-1/2"
Calibration Label, 1-1/2" x 1/2"
Calibration Label, 1-1/2" x 3/4"
Calibration Label, 1-1/4" x 5/16"
Calibration Label, 1-3/4" x 1-3/4"
Stay connected to new products and great ideas at United Ad Label.